Sold as shell space, the building will contain up to 75 units, with the smallest being 2,200 sf. Great walkability to area restaurants and galleries with a direct connection to the Stoneleigh Hotel. 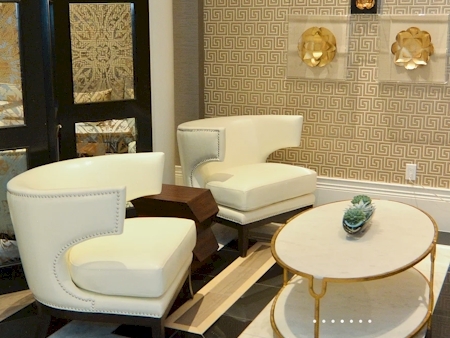 The developer has chosen two of the area’s finest homebuilders, Sharif & Munir Custom Homes and Crescent Estates Custom Homes to deliver finishes and interiors for each residence. Although originally to contain 75 units, the combination of units has reduced that number to no more than 70. ° Incredible shell space to design your perfect highrise home! 2,408 square feet of endless possibilities. ° Additional Info: HOA dues are $1,552 monthly, 2 covered parking space(s), Dallas ISD. ° Stunning new two bedroom with study, 2.1 bath 2567 sq ft luxury high rise home on the 9th floor of the incomparable Stoneleigh Residences. 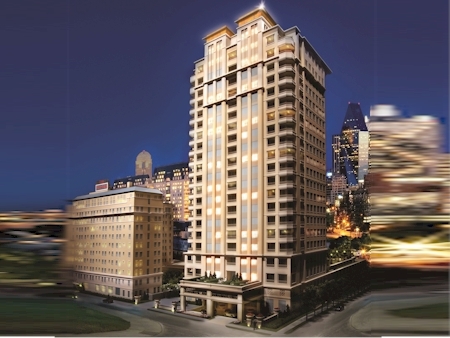 Two terraces offer incredible views of Uptown and Turtle Creek. Hand scraped hardwood floors throughout and designer stone finishes in kitchen, gourmet kitchen is equipped w Viking stainless steel appliances incld 5 burner gas cook top, wall oven, microwave, full size side by side refrigerator freezer. Spa like master bath features soaking tub, oversized shower ,double vanities and his & hers closets.2 assigned in-garage parking spaces & private storage unit incld. Building amenities include media room, club room w catering kitchen ,fitness ctr, pool & private dog park. ° Additional Info: HOA dues are $1,736 monthly, 2 covered parking space(s), 1 fireplace(s), Dallas ISD. ° Incredible shell space to design your perfect highrise home! 2,567 square feet of endless possibilities. 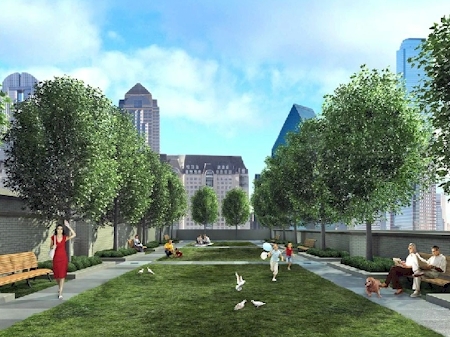 ° Additional Info: HOA dues are $1,736 monthly, 2 covered parking space(s), Dallas ISD. ° Stunning views and gorgeous interiors define this Stoneleigh designer home. Spacious, open plan with beautiful finishes: Scandinavian wood floors, Calacatta fireplace wall. State-of-the-art kitchen has custom soft-close cabinetry, Sub-Zero, quartz countertops & glass tile backsplash. Spacious split bedrooms. Master Bath has Calacatta tile floors & quartz counters. 2 large balconies & direct access elevator. 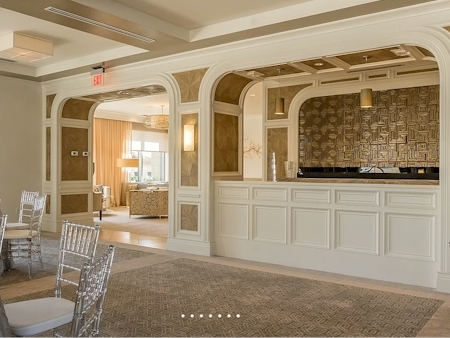 Stoneleigh Residences offer the finest amenities: 24-hour Concierge, Valet Parking, intimate Owners' Lounge, Banquet Room with full catering Kitchen & Bar, 20-seat Theater, Pool-Spa, Outdoor Living areas, Pet Park, Conference Rooms, Fitness Center, Hotel Room-Service. NOTE: 3 Parking Spaces with electricity. ° Additional Info: HOA dues are $1,718 monthly, 3 covered parking space(s), 1 fireplace(s), Dallas ISD. ° Own the sunset in this extraordinary luxury condominium at the Residences at the Stoneleigh. Enjoy an unparalleled vantage point from large windows and two covered terraces running the northwest length of the residence. With 2,617-square-feet of clean lined, custom space this two-bedroom, two-bath, one-half-bath home has soaring 10- foot ceilings and hardwood floors throughout. A gourmet kitchen with walnut cabinets and natural stone countertops is tailored to meet the needs of the most discriminating chefs. Entertain large parties effortlessly or enjoy intimate dinners in the glow of the fireplace in the generous open-plan living area. ° Additional Info: 2 covered parking space(s), 1 fireplace(s), Dallas ISD. ° Incredible shell space to design your perfect highrise home! 4,261 square feet of endless possibilities. ° Additional Info: HOA dues are $2,834 monthly, 3 covered parking space(s), 1 fireplace(s), Dallas ISD. ° Sublime perfection is portrayed in this bespoke home with direct elevator access. The neutral palette creates a sense of serenity with the soft contemporary design and expansive views from every room. The grand living area is the perfect place to entertain guests with plenty of wall space throughout to showcase an extensive art collection. A state of the art kitchen makes cooking a pleasure with SubZero fridge & wine cooler, beverage cooler, Wolf induction cooktop & oven, 2 Miele dishwashers, ice maker, dry bar & walk-in pantry. The master suite is a true haven with its private balcony, dual master baths & two custom closets. 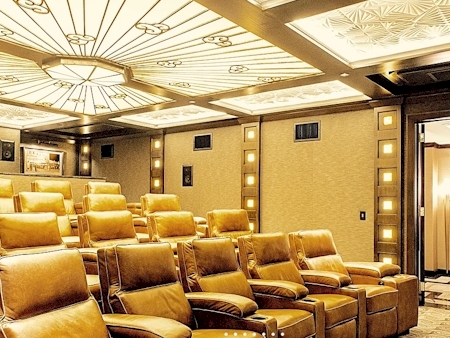 Two guest suites, a media room, study & 3 balconies complete this exquisite home. ° Additional Info: HOA dues are $3,330 monthly, 4 covered parking space(s), 1 fireplace(s), Dallas ISD. 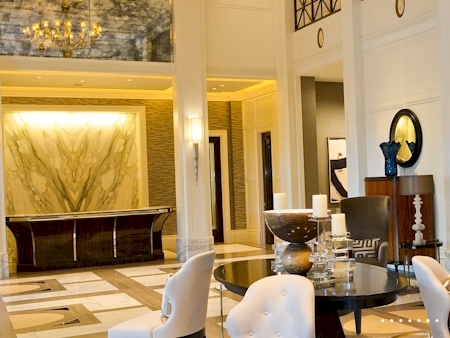 ° Step into luxury through two private elevator entrances with awe-inspiring foyers. Modern Italian design with clean lines and rich warm beige, caramel and brown tones. 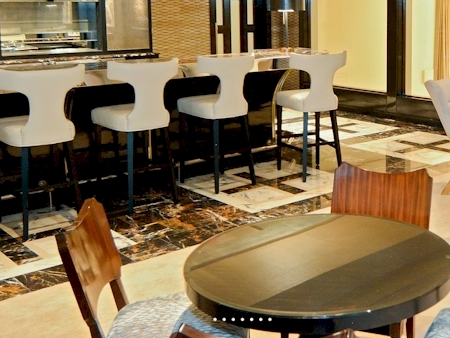 The finest materials and fixtures were selected throughout such as level 5 drywall, natural polished stone flooring, Michelangelo marble countertops, and exotic African wood paneling. Exquisite attention to detail with two built-in platform beds, floating cabinets, recessed ceilings and romantic back lighting. Spa-like master bathroom with steam shower, and soak-in tub with a view. 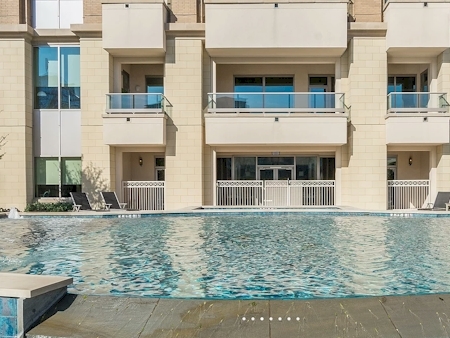 4 bedrooms, 4 full baths, and 4 balconies on a premium floor equipped with media room, fitness-yoga room, 2 spacious storage units, and 6 parking spaces. ° Additional Info: HOA dues are $2,935 monthly, 6 covered parking space(s), 1 fireplace(s), Dallas ISD. ° Listing Agent: Shelli Knutson, Compass RE Texas, LLC. ° Penthouse Stoneleigh Residences w panoramic views. Private elevator, limestone entry floorng.Dng Rm w walls that separate.Lvng Rm w pecky cypress ceilings.FP by Robert Wohlfeld. Ktchn w hand scraped pine cabinets.Cntr tops,backsplash in Keystone Arabescato Marble.GrandBallroom w elec shades, Lee Jofa wallcovrng,wet bar,coverd terrace w views. Prvt Mstr wing w study,cast stone FP. Media Rm 4 recliners,sofa,PindlerΠndler wall covering. Mstr Bdrm w views,elec shades,balcony access. Mstr bath w heated flrs, marble walls,cntr tops. 2 guests suites,bunk rm w 6 built-in beds,playrm w built in seating, art studio,7 prkng spaces,2 storage rms. 7500 sf. ° Additional Info: HOA dues are $5,300 monthly, 7 covered parking space(s), 2 fireplace(s), Dallas ISD. The following units are listed for lease in Residences at the Stoneleigh as of April 13, 2019. ** Note that landlords may have more restrictive limits on pets than indicated above.